We’ve been shopping up a storm to get ready for the new baby. This pregnancy has bit a little bit rougher than my first, although I don’t have much room to complain because my first pregnancy was a cake walk. Luckily, these last few weeks have provided that burst of energy I was waiting on to get ready for the arrival of our newest family member. With my third trimester quickly approaching, I’m anticipating that energy to start dwindling any day now, so I’ve been busy trying to make the most of Grant’s naps. This is our second baby in two years, so while we’re no experts, we’ve developed a list of must-haves from our first 18 months as parents. 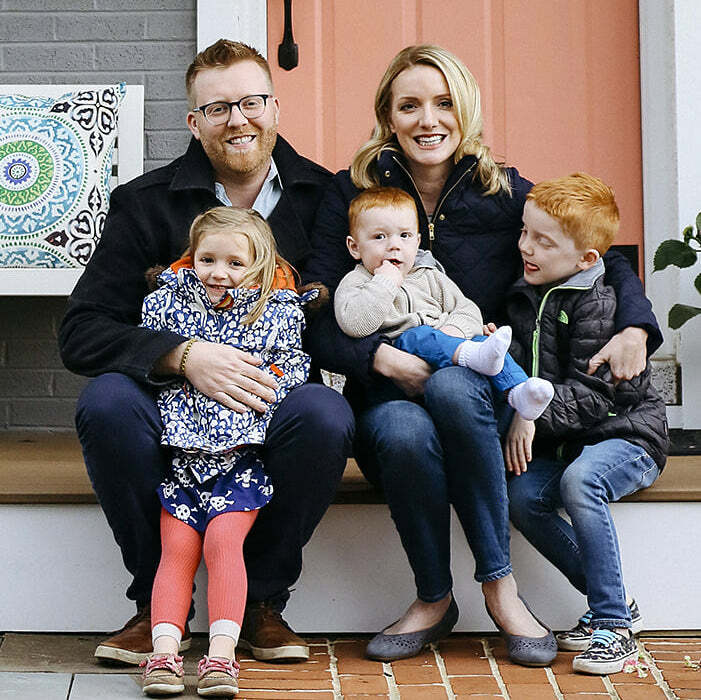 These are the items that made our lives a little easier in the midst of sleep deprivation, hormonal shifts, and living in that “first time parent” blackout, where everything was brand new to us and we had no earthly idea what we were doing. Co-Sleeper-We bought a bassinet before Grant was born because it was about $100 less expensive, thinking it would be the same thing. However, the morning after our first night home from the hospital, Jason was at Baby’s R Us paying full price for one of these. You can leave one side down and it attaches to the bed, so when the little guy was waking up literally every hour for the first two weeks, I could roll over and nurse without getting out of bed. 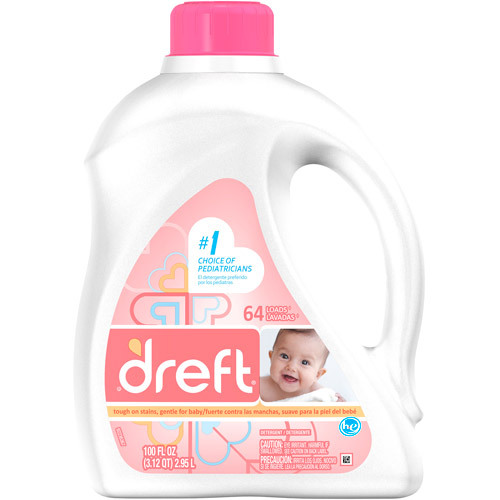 Baby Laundry Detergent-We used All Free and Clear before G was born, and I assumed it was the same thing as baby detergent. When we took our son to the pediatrician thinking he had eczema, our doctor told us that his rash looked more like contact dermatitis. He explained that an enzyme in most laundry detergents (even those without dyes or perfumes) can irritate baby skin. As soon as we switched (we use the Up & Up generic of Dreft, from Target) his rash went away. 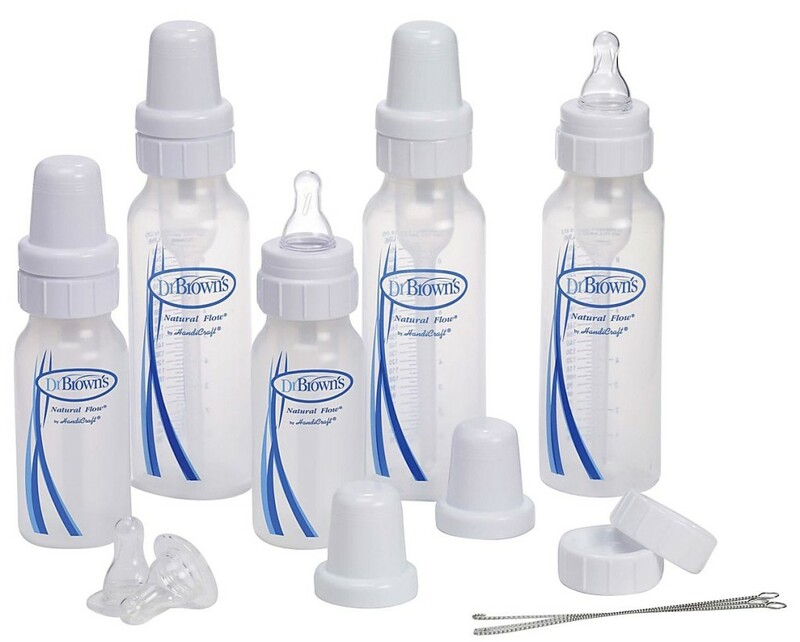 Dr. Brown’s bottles-I had every intention of nursing for the first year, but things didn’t work out the way I planned. After a month, when my son wasn’t gaining weight, we made the decision with our pediatrician to switch to formula, which resulted in a lot of fussiness and gas. These bottles (along with soy based formula) did wonders for his tummy. 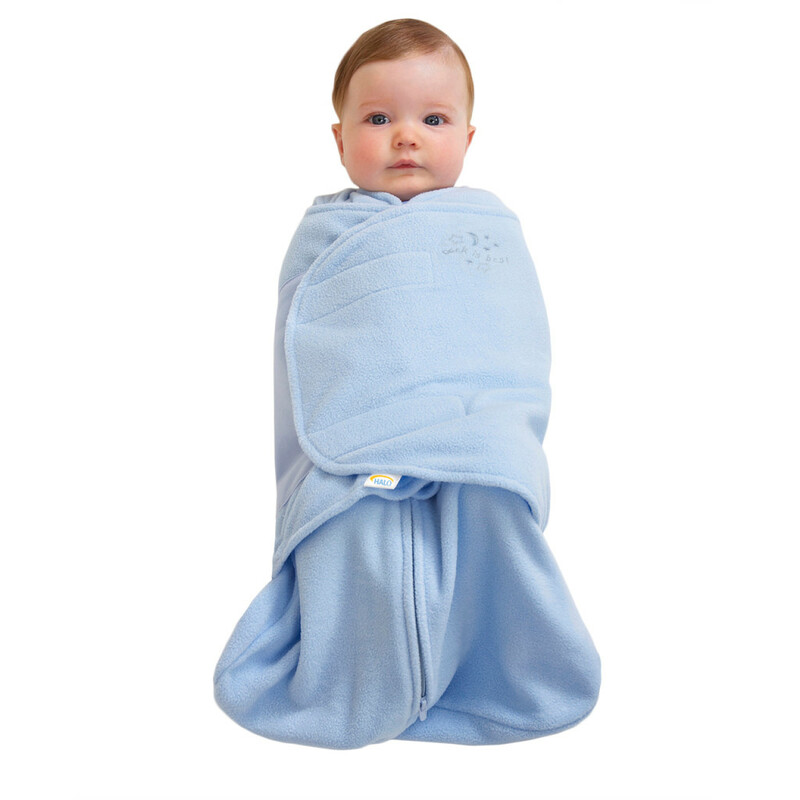 Halo Swaddle Sleepsacks-The best thing ever. It’s a sleep sack to keep them safe and warm without a blanket, and a swaddler to soothe the little one to sleep. I would have traded my right arm for anything that helped him sleep. 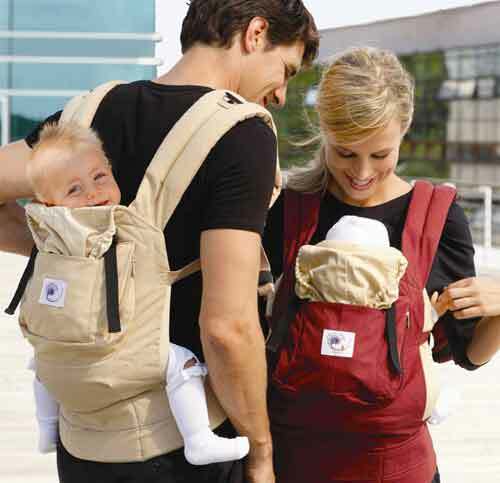 Ergo-I’m a big time baby wearer, for so many reasons, and convenience is a major one. Grant is 18 months old and 30 pounds, and at six and half months pregnant I can still carry him in this for hours. We had a Britax and it killed my back. I was reluctant to switch to the Ergo thinking he would want to be front facing, however it never bothered him. I can also wear it like a backpack, something he loves now that he’s older. It’s great when we go shopping because he’s always fidgeting to get out of the cart, and most stores aren’t exactly stroller friendly, but he will let me carry him around in this all day. BumbleRide Indie-We do a lot of walking as pet owners in an urban area, so we put significant research into what kind of jogging stroller to buy. The Bumbleride is made of aluminum, so it’s incredibly lightweight. Whether we’re walking downtown, heading to the pool, or taking Izzy to the beach for a swim, we use our BumbleRide daily when it’s nice out. It was a splurge, but we don’t regret it at all. This stroller is incredible off-road or on, and can be used without an infant carseat from 8 pounds. 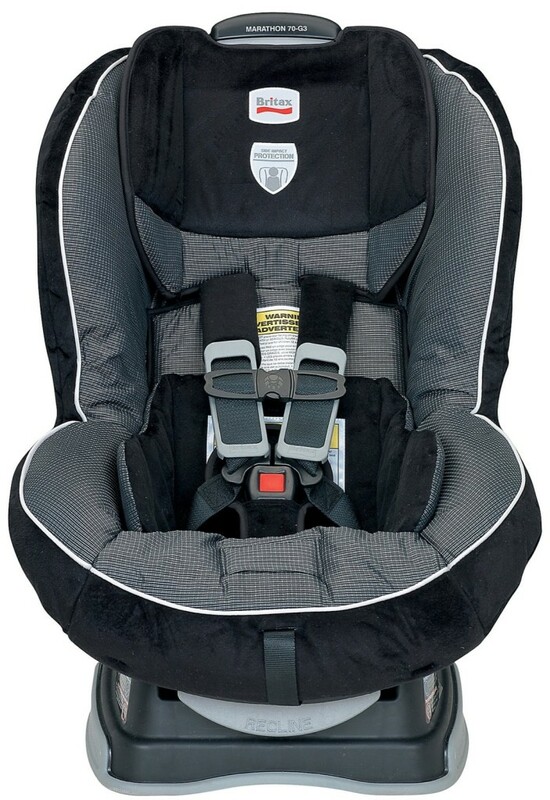 Britax Marathon-Speaking of infant carseats, this time I’m not even bothering with one. 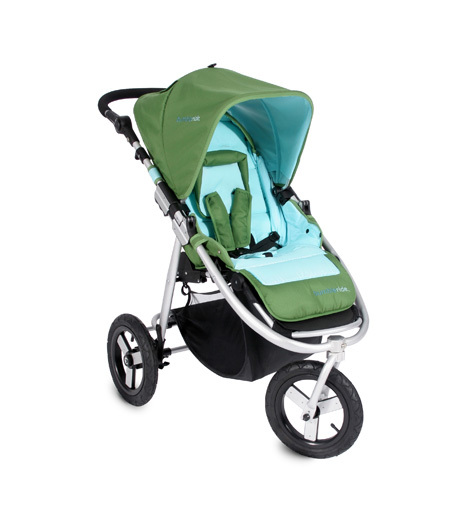 We have been perfectly content with our Britax Marathon, which has a minimum weight of 5 pounds. We always left the infant seat in the car and popped Grant into the Ergo when we went anywhere, which was significantly easier than lugging the heavy carrier. Britax always scores off the charts where safety is concerned, and that’s an area where it’s worth it to us to spend a little more. 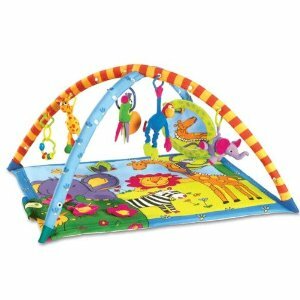 Baby Gym-Our son was never a big fan of swings or bouncy seats, but he loved his baby gym. He was always happiest laying on the mat, staring up at the dangling toys. As he got older, the buttons and sounds were really exciting, too. This is where we would put him when we showered or had to go in the other room when he was awake. 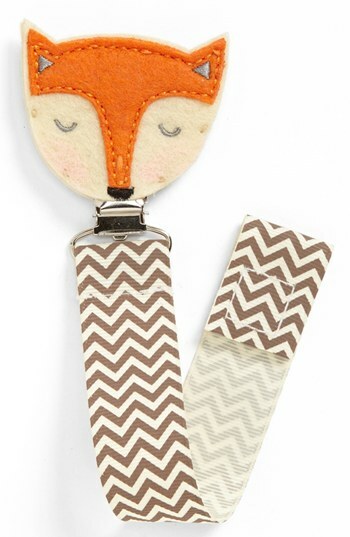 Pacifier Holder-When G was screaming his head off in the backseat of the car and I was fumbling around desperately searching for the pacifier he had dropped, this thing was a sanity saver. Sound Machine-We still use it every night. In addition to drowning out noise, the ocean sounds are part of our bedtime routine and a cue that it’s time to rest. G is a great sleeper, we lay him in the crib, give him his blanket, turn this on, and the lights go out without an argument. One Size Up Diapers-When we brought our son home from the hospital at just over seven pounds, he was in newborn diapers. He also leaked straight out of them every single time he was wet, even though he was within the weight limit. After going through ten onesies a day for the first week, Jason mentioned this to a friend with three children who told us to go up a size. Problem solved, despite the weight recommendations on the box. 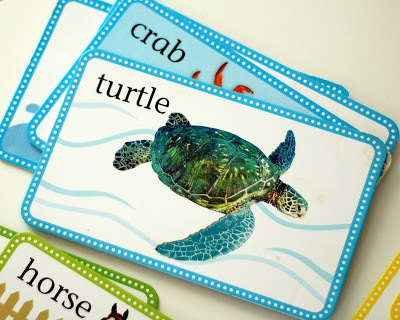 Flashcards- It surprised me, but these were one of the first interactive toys we could enjoy together. I think it’s because they were easier than books for his tiny fingers to hold onto. I would show him the cards and he could reach out and grab them, holding them close to his face while he gazed at the pictures. 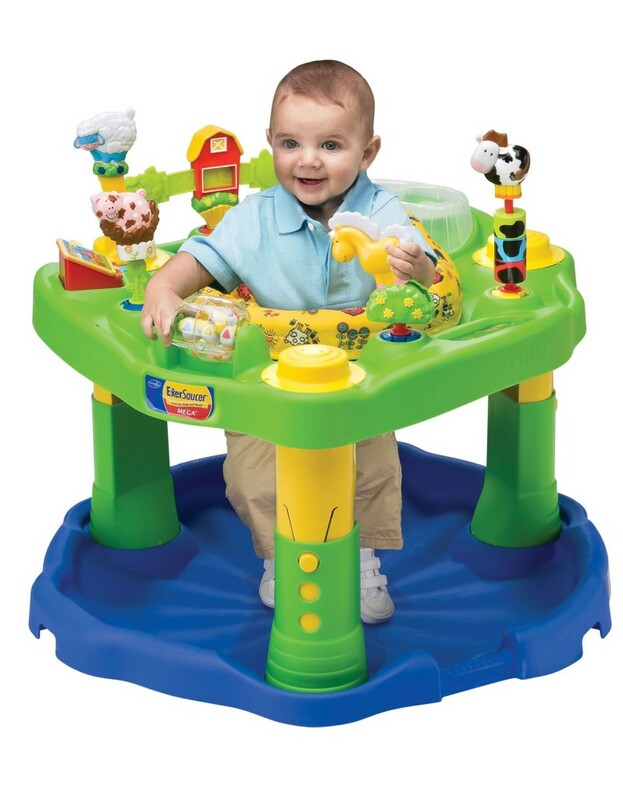 Exersaucer-Once Grant got a little older the Exersaucer replaced the Baby Gym as his favorite toy. It contained him so that we could shower and run dishes into the kitchen when he became more mobile, and provided endless entertainment. 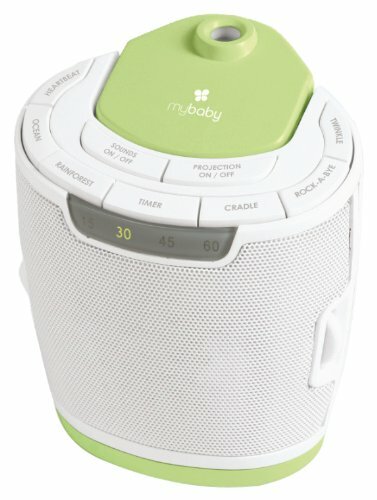 Boppy- This is one of those can’t-live-without items for the first few months. 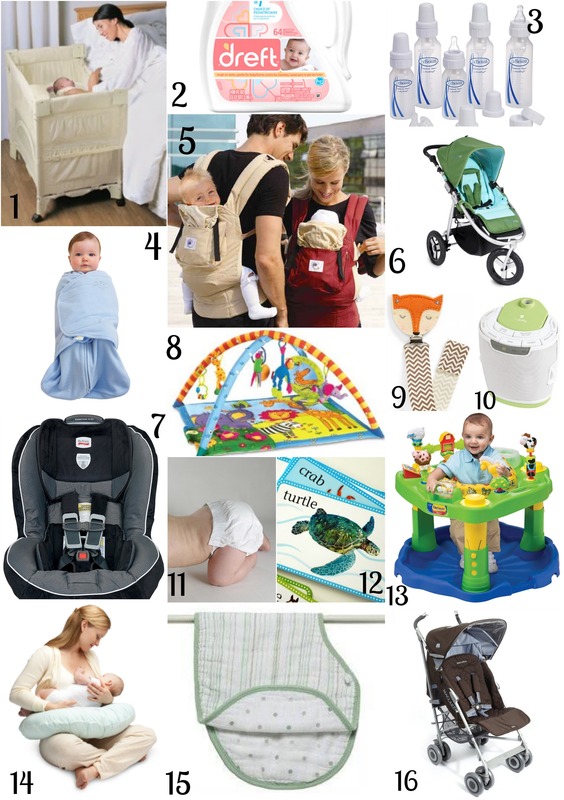 It provides the support needed to hold the little one for feedings and gives your arms a break. Aiden and Anais Burpy Bibs-Amazing. 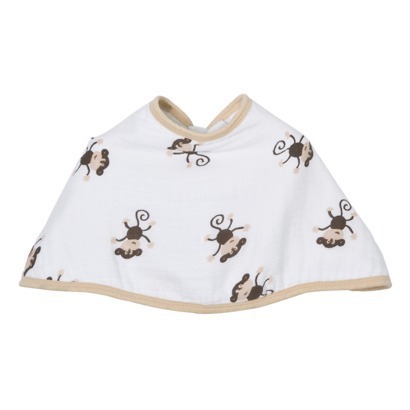 It’s a bib (and a big one at that, because when my kid makes a mess, he makes a huge one) that converts to a burp cloth, so you only have to grab one thing for feedings. Umbrella Stroller-We use a MacLaren Techno XR, and while the Ergo is usually easier for us, there are a lot of times when we need a stroller. Having something small and portable when we’re on the go is a must. 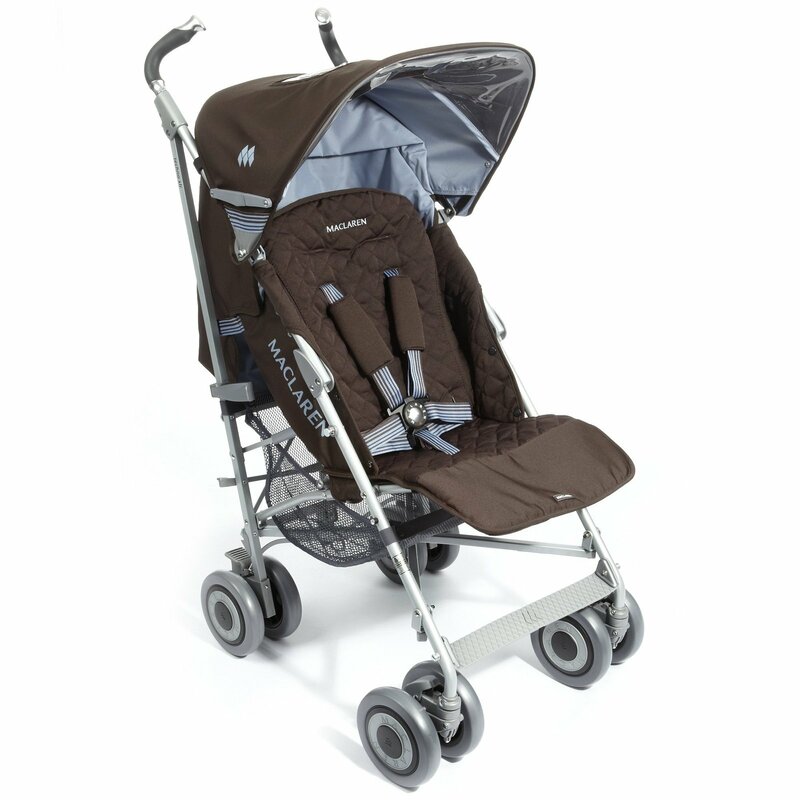 We chose the Techno XR because it could be used from 8 pounds, while a lot of umbrella strollers have much higher minimum weights. humidifier-something you don’t think about until both kids are sick at the same time, but every bedroom should have one. Respiratory illness is very dangerous in small children because they can’t clear their secretions by blowing their noses or coughing things up, so a humidifier to keep the air moist is crucial. It’s finally starting to sink in that we’re going to be parents again, now that I can feel her wiggling around all day. We’re both feeling a little anxious, remembering what a challenge an infant was when we didn’t already have a toddler in the house. I just keep telling myself, “Plenty of people have multiple children, plenty of people have multiple children, plenty of people have multiple children…” And praying we don’t screw it up too badly. Luckily, even after breaking his leg at nine months old, our son is happy, healthy, and seems to genuinely love Jason and me. So, he either doesn’t remember how hopeless we were in the beginning, or has already forgiven us. Previous Nursery Art, Now in 3D! Want to Know What We Did All Summer?